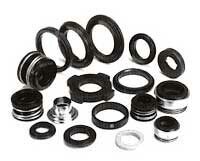 We bring forth a premium range of mechanical carbon & graphite sealing rings in the marketplace. We make them available in various designs, shapes and sizes. Our graphite sealing ringsâ�� range has close dimensional tolerance and is apt for usage as a part of mechanical seals in general utility pumps, water pumps and chemical pumps. The carbon sealing rings, we supply, are used as the wear face of various mechanical seals for the sealing of fluids in all types of industries. 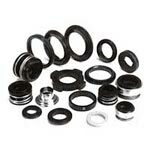 Carbon & graphite seal faces are compatible with a wide range of other counter faces also. So, these qualities of our products have made us one of the most reliable graphite sealing rings manufacturers and suppliers in India.